Personal injury claims are filed to get compensation for someone who has suffered harm because of the negligence or carelessness of another. By far, the most common types personal injury claims stem from automobile accidents, whether the motor vehicles involved are cars, trucks, or motorcycles, but personal injury accidents could be slips and falls or dog bites. If you have been injured due to the negligence or carelessness of another, consider using the expertise of a Columbus personal injury attorney to get the compensation you need for your medical care and other related expenses. Many circumstances in a car crash can lead to a driver being found negligent in an automobile accident. For instance, impaired driving—driving under the influence of drugs or alcohol—might be a clear indication of negligence. Every year, more than 10,000 people die in the United States as a result of drunk driving. Speeding and running red lights are also common causes of wrecks that can lead to death. If you’ve been injured in an accident of this type, a personal injury attorney in Columbus, Ohio, can help get the compensation you need to help you recover from the devastation of a car accident. Driving while fatigued, distracted driving, and texting or calling while driving can also be shown to be common causes of careless vehicle operation. Distracted driving is on the rise, and the wrecks that result from inattention to the road is a real problem in heavy traffic and rural areas alike. According to the National Highway Traffic Safety Administration, approximately 660,000 people text while driving during daylight hours, increasing the risk of injuries and fatal crashes. A Columbus personal injury lawyer will help you understand all the possible avenues for action in these cases. Other common types of personal injury cases include slip and fall cases. These cases arise when, for instance, a person slips and falls in a store, or on a sidewalk, or even inside a private residence. In this case, your Columbus personal injury lawyer will work to show that the property owner or person in charge of maintaining the property acted in negligence, leading to the dangerous conditions which resulted in the injury. Dog bites round out the top three most common types of personal injury cases. Dog bites are very serious and might leave you with huge medical bills, permanent physical injuries, and psychological scars. In Ohio, dog owners are held strictly liable for any injury inflicted by their animal. Dog owners must always be in control of their animals and if they are not, they can be held accountable for not maintaining control. To help you recover your losses after being bitten by a dog or animal, a Columbus personal injury attorney could prove to be a great asset to you. 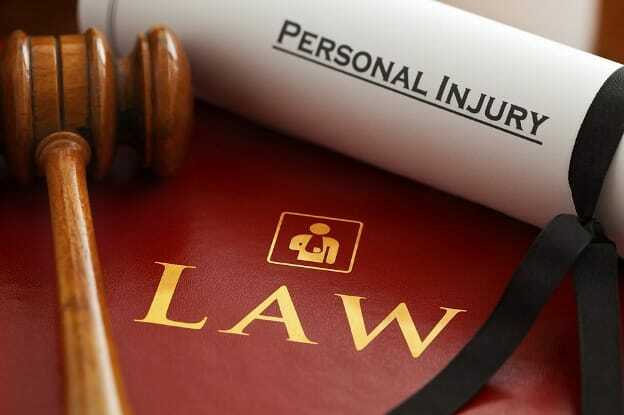 In any type of personal injury action, it is critical that you have an expert, seasoned professional at your side as you pursue justice—a personal injury attorney in Columbus who is familiar with the courts, laws, and strategies for success in your particular case. You also want a Columbus personal injury lawyer you can trust to have your best interests in mind. Not all firms are able to give you individualized and personal service, so when you need a Columbus personal injury attorney be sure that attorney is able to provide the focus your case needs.